Nairobi: Deeqdii reer Somaliland ururiyeen ee loo qaaday dadka Soomaalida ah ee ku tabaaloobay kuna barakacay abaaraha ba' an ee ku habsaday Soomaaliya, ee u qaxay dalka Kiiniya gaar ahaan xerada qaxootiga ee magaceed la yidhaa ''IFO-2'', oo maanta loo qaybiyay Gargaarkii dadka Somaliland u direen. Waa qaybtii labaad ee mucaawanadii reer Somaliland dhawaan u gudbiyeen dadka reer Soomaaliya. Iyada oo qaybtii hore ee macaawanadaasi Xamar la geeyay. Laba wafdi oo kala duwan ayaa kala qaaday deeqahaasi balaadhan oo gaadhaysa in ka badan $ 700.000 (todoba boqol oo kun oo doolar). Isla deeqdaasi ayaa waxa ka hadlay Sheekh Shariif, isaga oo sheegay inaanay Soomaalidu kala maarmayn ee ay midnimadu ma huraan tahay! Abwaanka wayn ee Xasan Xaaji Cabdilaahi '' Xasan-Ganey & Heestii Xaalka uu u siiyay reer Sanaag, ee magaceedu ahaa, Dhaqan''. ''Yaa-Salaam''! Somaliland Delegation to Visit Mogadishu in Historic Trip. VOA-22/09/2011- Somaliland plans to send a delegation to Somalia's capital Mogadishu on Saturday, in what would mark the breakaway region's first official visit there in more than 20 years. During a news conference Thursday, Somaliland Vice President Abdirahman Saylici downplayed any political significance, saying the trip is purely humanitarian. The delegation plans to deliver money to help Somali drought and famine victims. Somaliland's trade, industry and tourism minister, Abdirisaq Khalif, said his region's people have raised $700,000. A second delegation from Somaliland will visit Kenya's massive Dadaab refugee complex near the Somali border on Saturday. Dadaab is home to more than 400,000 Somali refugees. Dad ka kooban wax-garad , Culimo iyo Abwaano reer Somaliland ah oo jooga magaalo madaxda Somaliland ee Hargaysa, ayaa waraysi ay idaacada BBC-Somalidu maanta la yeelatay ku sheegay, inay deeq balaadhan oo lacag ah, cadadkeeduna ka badan yahay Todoba boqol oo kun oo doolarka maraykanka ah ($ 700.000) u qaadayaan dalalka Soomaaliya iyo Kiiniya, iyaga oo deeqdaa wayn gaadhsiin doona walaalahooga reer Soomaaliya ee la isha daran macaluusha iyo abaaraha. Qaar ka mid gudidaasi lacagta qaadaysa oo BBC-Somalidu waydiisay cida gudidan wakiilatay inay tahay dawlada Somaliland iyo cid kale, ayaa sheegay inaanay lacagtaasi ahayn mid ay shaqo ku leedahayy haba-yaraatee dawlada Somaliland, bal-se ay tahay mid shacabku iska ururiyay dabadeedna iyaga duqayti ahaan u xil-saaray gudoonsiinteeda dadka ku baahan Xeryaha qaxootiga ee Soomaaliya iyo Kiiniya. What South Sudan Can learn from Somaliland? On July 9, 2011 the jubilations in Juba lived up to the fanfare with which the continents 54th nation and the United Nations 193rd member was inaugurated in, and fittingly so given the lopsided referendum votes that had underpinned the aspirations of the people of Southern Sudan. Less precise however, is how the apparent ethnic, political, and tribal cleavages in Southern Sudan will be curtailed, before this undercurrent besets this young nation already under the strain of outside influence and the meddling of neighboring regional-powers. The Government of South Sudan has not been helpful in amicably finding solutions that would cease the internal-conflicts among their indigent populace which does not augur well for the world’s newest country, and this lackluster action have been aided by the U.S. who remained silent and unconcerned and a western media that had keenly remained transfixed on Darfur only. 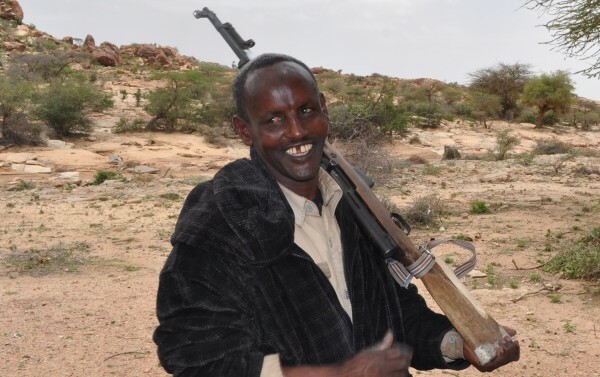 Somaliland: So while central and south Somalia and the neighbouring Puntland fell into the chaos of piracy, clan-warfare and Islamic militancy, Somaliland embarked on a steady course of state-building. Remarkably, it overcame clan differences, building a relatively stable democracy, an education system and, against all odds, its own currency. Women participate in a vibrant civil society, though gender relations have a long way to go. It also, as we discovered, had a small tourism industry. However, there is always a vague sense of unease when a tour comes with a compulsory armed guard. A few days earlier the hotel manager had attempted to offer some reassurance. ’Don’t worry,’ he called after us as we were led away by a man in army fatigues carrying an assault rifle, ‘Somaliland is safe.’ Its tourism sector revolves around a series of prehistoric cave paintings at Las Geel, 60 kilometers from Hargeisa. For hundreds of years, the caves were feared by nomads who thought they were haunted by devils. Somaliland: The brightly coloured and beautifully preserved rock paintings, depicting domesticated animals, could be up to 5,000 years old. Men are depicted riding on the back of some of the animals, or with raised arms, as if worshipping the cattle. Wild animals such as giraffes - which no longer exist in this rocky, arid climate - also appear, suggesting a shift in weather patterns since the paintings were made. "We all agree that this is an important discovery," says Lazare Eloundou Assomo, chief of Africa at the Unesco World Heritage Centre. But as Somaliland is not recognised by the UN, and Somalia has not ratified the 1972 World Heritage Convention, there is no question of the site getting world heritage status in the near future. Piracy off the Horn of Africa increases every year due to constant instability in the region. In 2008, 111 vessels were attacked. Since the beginning of 2011, there have already been 188 attacks. Every year worldwide piracy costs the shipping industry billions of dollars in rerouting, ransoms, and many other related expenses. These costs are then passed on to the consumer. To curb piracy, the international community is working with regional partners to stabilize the region. Somalia’s U.N.-appointed Transitional Federal Government (TFG) has proven largely incapable of establishing law and order outside of parts of the capital city of Mogadishu. Constraining piracy is well beyond the limited capabilities of the TFG. By contrast, the government of Somaliland, the autonomous state in northern Somalia, is a more promising partner even though it is not recognized by the U.N. Finally, Palestine Statehood in UN. Palestinians have taken entire western a terrocracies by shock by its decision to move for a UN vote to ensure statehood for the besieged Palestinians. The Palestinian leader informed U.N. Secretary-General Ban Ki-moon during their meeting that he would present him with a letter requesting full membership on Friday, ahead of Abbas’ speech to the General Assembly. Palestinian leader Mahmoud Abbas is pressing ahead with his diplomatic campaign to gain full UN membership for Palestine. As the Palestinians edged closer to seeking statehood recognition from the UN, Israeli terror PM B. Netanyahu called for Abbas to meet with him in New York followed with a series of such useless meetings in Jerusalem and Ramallh. He provided no other details or indications that Netanyahu was willing to cede to any of the Palestinians’ demands.The Israel hawkish leader said he wanted to resume “peace talks”, upping the pressure on Abbas and building on the frenzied diplomacy swirling around the Palestinians’ bid. Wasiirka wasaarada arimaha dibada ee dalka Somaliland mudane Dr. Maxamad Cadilaahi Cumar, oo haatan socod shaqo ku jooga dalka Maraykanka (USA), una yimid inuu arimaha u gaarka ah dadka reer Somaliland iyo go'aankooda u gudbiyo Beesha Caalamka, ayaa waxa u suurta gashay wasiirka intii uu joogay Dalka Maraykanka inuu kulamo aad u badan oo muhiim la yeesho madax badan oo kale duwan. Hadaba waxa idaacada la yidhaa Somali-Voa, ay ku marti-qaaday Dr Maxamad Cabdilaahi Cumar inuu dhagaystayaashooda uga jawaabo waydiimo ay ka qabaan, socdaalka Wasiirka iyo waxa u qabsoomay! The Islamic University in Uganda has started a two-year education programme for students from Somaliland and Puntaland states. “We are teaching the students a postgraduate diploma in Educational Management. This is with support from the African Education Trust that selected our proposal. “We were many universities that took part but we emerged the best,” said Muhamadi Kaweesi, the programme coordinator. The programme started on July 11 with a face-to-face session. “We are in Somaliland and Puntaland to freely interact with the 50 students. It is nice that the students have shown their dedication,” Kaweesi told The Observer via an online chat. The Somali inhabited areas at the horn of Africa was called ‘Somal’ and ‘Beri Somal’ by the Arab traders from Arabian Peninsula before the Europeans arrived. However, the Europeans divided area into three parts – British Somaliland, French Somaliland and Italian Somalia. The people of Somaliland (former British Somaliland) signed an agreement with British over its presence in Somaliland. The agreement renamed the territory ‘Somaliland British Protectorate’ similar status of the then South Yemen and Kingdom of Saudi Arabia. The agreement included that British should leave Somaliland anytime the people ask to leave, which led peaceful departure of Englishmen. The new country named State of Somaliland for four days, in which State of Somaliland signed MoU and agreements with other nations including Britain; these agreements are archived today at UN. State of Somaliland enjoyed similar status of that of State of Kuwait during such four days. It’s not fair, I think, that flights to the toughest places leave at the toughest time of day – the night.Yet again, to go off to Somaliland I had to get up before 4 a.m. to get to Jomo Kenyatta International Airport by 5.15. Even at that time, there were plenty of cars on the roads. It was a Sunday morning, so they were not going early to work – more likely they were going home late from the bars and nightclubs of the city. Which was evident in the way a few of them were slowly zig-zagging along pothole-free roads. It was another slow flight over the arid lands in the inappropriately named Dash. ''Mo Farah'' Waa Xasiid Ay Xasiidi dhashoon waligii Jimidhayn-e! ''Soo dhaweeya bilad-Dahab leh''. Bilad-Dahableh: Waa Amad aan Warqash iyo Asalo ahayn-e ay shinidiisu ka soo jeedo Dalag waane iyo hal-horaad ahaa oo ku biqlay, baaqbaaqmay kuna bislaaday Gale caro-madaw ah oo ku yaal dhumucdii qodaalka iyo dhuuxii Qadawga iyo Wadada-godka! Waa wiil ku anqartay inta gows-qabadleh inta ugu mudan oo ah, Xasiid iyo Garaw! Waa Wiil lud iyo lafba jidhkiisa ay kusoo duxayso labeentii Dhayda iyo Sixinkii uu dhalaan-nimo ka hirqaday gorofkii Sacii Dhiin-bay, ee Cosobka iyo tigaada qaaliyada Madarka, banka Wajaale, Wadada-Godka, Geed-Balaadh, Kalabaydh, Boodhlay iyo Mitirkaba barqin iyo mayraca dharabka iyo sayaxa ku goosanayay! Dhijaanta iyo Balaygana ladaabta Xareeda ka durduuranayay! Waa Wiil Fandhaal burcad ah nasintiisa (madaxa) judha-waaga aroor kasta loogu galaalay! ''Grade 4 pupil Lungile Sikhakhane, 9, has a big heart''. One night last month as she watched the news with her parents at their home in Mofolo, she saw images of children suffering in Somalia. The next day, she went to school with those images in her mind and spoke to her Igugu Primary School principal. “It was just before our life orientation lesson that she approached me and said: ‘Teacher, I want us to help the children in Somalia,’ and I was taken aback,” said principal Sibongile Mbuli. “I then told her that she must tell her class and the school about her idea and see how they react,” she said. USA: Tele-conference/ Dr Maxamad Cabdilaahi Cumar (Wasiirka Arimaha Dibada ee Somaliland)- 17/09/2011, Saacada 02:00. Ogaysiis: Dhamaan jaaliyadaha reer Somaliland ee jooga North America waxa lagu marti qaadayaa inay ka soo qayb galaan, conference-call uu marti inoogu yahay Wasiirka Arrimaha Dibada ee Somaliland, Dr. Mohamed Abdillahi Omar, halkaas oo uu wasiirku inooga xog-warami doono xaalada dalka Somaliland ka jirsa sida abaaraha iyo guud ahaanba xaalada waddanka, waxa kale oo uu inoo sharaxi doonaa siyaasada dibada ee dawlada cusub ee hada talada dalka haysa, waxa kale oo uu inoo faahfaahin doonaa ujeedada ka danbaysa socdaalka uu wasiirku ku yimi Maraykanka ee uu hada ku gudo jiro. Shirkan telephone-ka lagu qabanayaa wuxu dhacayaa Maalinta Sabtida ee bisha September ay tahay 17ka, saacadu marka ay tahay 2pm galabnimo ET (Washington DC wakhtigeeda). Crisis in the Horn of Africa: A Somaliland Perspective (Dr Mohamed Abdilahi Omer, Dr Pham and other Distinguish Guests). *Watch*! ''The Self named SSC group are alien and not genuine of the region''. The self named SSC group which are suffering identity crises, sought cheap shot diplomacy in the TFG of Sheikh Sharif. They have assured to extend their animosity towards Somaliland in every trench. If we have to consider their claim to represent SSC, first and foremost, the folks are confused and myopic about their goals and are by now rather reckless and lost in the famous Somali politics of back stabbing. They are dwelling in Mogadishu begging their earned Independence in 1960 with the Somaliland block, that is if they were to be genuine. It is laughable to see them back to square one, doing what Somaliland stood firm in dealing with Southern Somalia. They claim to dismiss the accord of Somaliland communities in Burao Declaration in 1991. They despise the call from Hargeisa to end animosity among the communities but rather chose to pursue what Somaliland turned down to accept from Mogadishu. I am Edgardo Ortega Butacan, also known as Barjas, which is my new Muslim name. Here is my testimony on how and why I embraced Islam. I was born in 1970 and baptized as Roman Catholic and lived most of my life in a Christian environment. Despite this background, I was not a religious person and grew up with many doubts about the doctrines and practices of my Christian faith. One thing I can attest though is that ever since, I believe that there is only one God although I did not know how He looked and what His name was. My doubts were cleared after I embraced Islam. Although, I still do not know how He looks, but it is enough for me to know His name and His beautiful attributes. When I came to Saudi Arabia in 1993, I set aside many priorities including my religion in order for me to achieve all the comforts of this material life. I stayed in the Kingdom for five years and during these years, I was too prejudiced and biased with the Muslims and I tried to distance myself away from them as much as I could. Somaliland: a modern state minus international recognition? Written by: Bethany Brady (University of London, Birkbeck College)! The Republic of Somaliland, a protectorate of Britain until 1960, is often cited as being one of the more successful (self-declared) states in the Horn of Africa; a functioning polity against all odds since it is still without international recognition. Some observers, such as Hagmann and Peclard, unequivocally comment that Somaliland is ‘a political entity which has all the attributes of a modern state except for international recognition’ (Hagmann, T and Peclard, D 2010: 159). I hope to examine this observation and establish whether Somaliland does indeed exhibit modern state qualities or rather we are witnessing the development of a beacon of light in an otherwise war-torn area of Africa. Is this beacon leading to exaggerated positive critiques of the developmental movements taking place; a somewhat idealistic, rather than realistic, approach to the problematic of statehood in the region? New York: Somaliland, USA, UK, France, China iyo Russia oo ka wada hadlay Qadiyada Somaliland! New York, September 14, 2011 – Wasiirka arimaha dibadda Somaliland Dr. Maxamed C/laahi Cumar ayaa ka warbixiyey kulankii Xarunta Jimciyada Quruumaha ka dhaxaysa ee New York doraad ku dhexmaray Somaliland iyo Shanta Wadan ee Rigliga ku ah QM, kaas oo sheegay in shirkaasi uu ku soo bandhigay garnaqsi ku saabsan qadiyada Somaliland iyo Waxa ay xaq u leedahay Somaliland oo ah ka mid noqoshada beesha caalamka. Dr. Maxamed C/laahi oo khudbad ka horjeediyey shanta wadan ee joogtada ku ah Qaramada Midoobay ayaa rajo weyn ka muujiyey la kulankaasi Quwadaha waawayn ee dunida inuu soo dhaweeyey Aqoonsiga Somaliland 20-ka sano baadi-goobka ugu jirtay, waxaanu xusay inay garawshiyow ka muujiyeen horumarka Somaliland ku talaabsatay. Ethiopia, which has had more than one spat with Djibouti over the access it gets to its port facilities, the service levels available there and the price it pays for these, is soon to have a new port gateway made available to it. Somaliland, Ethiopia and China have signed trilateral agreements on gas, oil and logistics which include the large-scale development of the port of Berbera, Somaliland. Road and rail networks will form part of the development and connect Berbera to Ethiopia as well as other regional networks. Located at the mouth of the Red Sea, the port of Berbera is reported to have already attracted the interest of more than one international port operator. The disastrous famine in Somalia is the worst the world has seen in 20 years, and it again casts a harsh spotlight on the situation in that country. With millions of people now at risk of starvation, and appalling stories of human hardship dominating the evening news, the name “Somalia” once again conjures images of crisis and despair—a famished, suffering country peopled by pirates, terrorists, and warlords. - Second, this report recognizes that the conditions within Somalia vary widely by region. Somaliland and other parts of the north have achieved a far greater degree of stability and self-governance than the south. These divergent conditions on the ground lead some to question the viability of Somalia’s borders as currently constructed. Somaliland has long sought international recognition as an independent state. When in 1887 Susanna Madora better known as "Dora" was elected as the new mayor of Argonia, Kansas in United States, Somaliland was in the hands of its colonial master –Britain- which at the time was ruling most parts of the world. Dora was a politician and activist and became the first woman elected as mayor and the first woman elected to any political office in the United States (United Nations 1960). Khadra X. Ismail Yonis widely known as Khadra X. Gaydh has just become Somaliland’s first female mayor but already she seems relaxed in her pioneering role as she strolls around her community clad in traditional beautiful Somali dirac (a flowing lightweight dress) and a purple shalmad. She will be a good leader, just like her father who was a successful businessman," says Hussein Warsame, an elderly man wearing the traditional white galabiyah robe, who made a point of climbing off his donkey to greet the new mayor. "And besides, a woman is in power in Germany," he adds with a smile. It is been three years, since I wrote an article to the somaliland media, and the reason that it took me so long to write an article is because when somaliland face a political dilemma before this new administration, including closing of house of parliament, Calling for impeachment of the president at that time and also unsure that the election is gone happen at that moment and also giving time to this new administration to make an evaluation if they are better than the former administration led by dahir rayale and this is the reason that I have kept silent. Classified By: ADCM Haywood Rankin for reason 1.5 (b,d). 1. (C) Summary: Chief of Armed Forces Fathi conveyed to Charge September 3 President Guelleh's confusion and vexation -- directed mainly at Djibouti's ambassador in Washington -- about assistance from the United States. He said, perhaps too frankly, that Guelleh was nervous because he needed to begin his election campaign for 2005. Guelleh is supposed to return September 5 to Djibouti, after more than a month away, and Charge has requested an appointment. The fundamental problem is that the Djiboutians are accustomed to the simpler French way of handling assistance and have a steep learning curve with the Americans (and vice versa). End Summary. Edna Adan: Vive Le France-Water!!! As you may know, access to water has long been a pressing concern for Edna. She has often spoken of this as being her single biggest challenge. Edna is deeply, deeply grateful to France for having funded this months-long effort, which has now met with success. During the past four months, we have been in labour with our water well drilling effort which we started with kind support from France. These months have been among the most difficult and harsh times I have spent and at times, lost hope that we would ever find water. On the 7th of September, we pumped water out of the well for the first time, and on the 9th of September we could pump water with a good pressure from the well with borrowed equipment in order to assess the water pressure and potability. Wall Street figures, Peter Collery and Anand Desai, co-hosted a fundraiser at the Yale Club for the benefit of Abaarso Tech (Somaliland). Two prominent Wall Street figures, Peter Collery and Anand Desai, co-hosted a fundraiser at the Yale Club for the benefit of Abaarso Tech (Somaliland). Peter Collery and his daughter Claire recently returned from visiting Abaarso Tech, after which their family vowed to do all they can to support the institution. Peter and Anand are long time friends of Jonathan Starr, and Jonathan too spoke at the event. Approximately 65 individuals, a great number of whom come from the financial world, attended the reception at the Yale Club. Guests were almost exclusively friends and professional relations of the two generous hosts, and they came to learn more about the Abaarso Tech cause that Peter and Anand have so generously supported. Human beings are driven to improve their socio-economic circumstances. They utilise whatever resources of material and intellectual capital they have to address their condition of unlimited wants. They engage in economic transactions with fellow humans. Those who produce goods and services sell them to those who need them. A spontaneous order exists. And that is how Friedrich Hayek, the late Austrian economist, described the free market. Self-interest drives people in their quest to meet their needs, but the resources available to them are limited. Individuals or groups of individuals, therefore, must compete amongst themselves to provide the goods and services which others will want to own or consume. Maxkamada Sare ee Somaliland: Faysal Cali Waraabe ayaa gartii helay! Hargaysa, 11/09/2011 : Maxakamada Sare ee Somaliland ayaa Maanta Ku Dhawaaqdey Go' aankii Kama Danbeysta ahaa, ee mudoba laga naawilaayay ee ku saabsanaa, isku qabqabsiga iyo isku hasysashada jagada gudoomiyenimo ee Xisbi-qaranka labaad ee mucaaridka ah ee UCID. Waxa ay Maxkamadu garnaqii maanta ku sheegtay in gudoomiyaha sharciga ah ee xisbiga UCID uu yahay mudane Eng faysal Cali Waraabe, isla mar ahaantaa waxa ay maxakamadu wax-ba kama jiraan ku tilmaamtay gudoomiyayaashii kale ee ku meel gaadhka ahaa! Dhanka kale waxa ay Maxkamada Sarre ee Somaliland Go' aamisay In shir weynihii Xisbiga Ucid la qabto Muddo Saddex Bilood gudahood ah marka laga Bilaabo maanta. Waxa kale oo ay maxkamadu amartay in Gollaha Dhaxe iyo masuulityiinta Xisbiga UCID, shir weynaha Xisbiga looga fadhiyo qabsoonkiisa. Dr Maxamed Cismaan Fadal Oo Ku Taageeray mudane C/Raxmaan Cabdi-qaadir (ku xigeenka gudoomiyaha Kulmiye) Dhaleecaynta uu Xukuumad Siilaanyo u jeediyay! Dr Maxamed Cismaan Fadal oo ka mid ah waxgaradka Somaliland ayaa tageeray Dhaliishii, Canbaarayntii iyo dhaleecadii guddomiye ku-xigeenka Xisbiga Kulmiye, Md Cabdiraxmaan Cabdiqaadir uu u soo jeediyay xukuumada dalka u talisa oo uu ku sheegay, in madaxweyne Axmed Maxamuud Maxamad ''Siilaanyo'' uu beesha uu ka soo jeedo ina Cabdi-qaadir ka qadiyay, xilalkii dalka oo u weliba isla markaana ka qaaday kana sifeeyay dhamaanba kuwii beeshiisu hore intaan xukummadani kursiga la wareegin dalka hore uga sii heyn jirtay!. Wikileaks: More Documents about Somaliland! 1. (SBU) Summary: Over the weekend of October 2, all of the members of the disputed Somaliland National Election Commission (NEC) resigned, paving the way for the appointment of a new,hopefully less controversial NEC that could go some way in preparing the ground for the much-postponed presidential elections. Kulmiye opposition party Chairman Ahmed Silanyo in an October 5 telephone conversation from Hargeisa, was cautiously optimistic that progress on elections could be made. He thought that the Guurti (the Council of Elders) could vote on the seven new NEC members by as early as October 7. Silanyo's optimism was tempered by memories of recent past failures to move the election process forward, however. End summary. Read more Wikileaks documents about Somaliland below! Haddii Siilaanyo Qabiili Yahay Cabdiraxmaanoow Xilalkan Tirada Badan beeshaada Muu Siiyeen! Aniga oo aan uga jeedin qof ka daba hadal ama ku xumee waxaan jeclaystay inaan wax yar ka idhaahdo, hadalo dhinaca saxaafada uu soo mariyay siyaasiga caanka ah ee Cabdiraxmaan cabdilqaadir Faarax, Gudoomiye ku xigeenka koowaad ee xisbiga talada haya ee Kulmiye. Hadaladaa kuwa ugu waaweyn ama aan jeclaystay inaan wax ka idhaahdo anigoo cidna aan ka wakiil ahayn balse mihnadaydu I tusayso khaladaadka ku jira iyo, sida nin siyaasiya oo aqoonyahana aanay ugu fiicnayn inuu qoys hoos ugu noqdo, waxaan wax ka odhanayaa hadalada ku jiray sida Madaxweynuhu waa qabyaaladayste! ta uu Mudanuhu kaga hadlay iyo, sida beeshiisa aanu Madaxweye mudane Axmed siilaanyo waxba ugu ogolayn. Mudane Cabdiraxmaan Cabdilqaadir waa nin muxtarim ah oo weliba siyaasi ah, isla markaana mudo badan la soo rafiiqay madaxweynaha, Mararka qaarna ay keli isku ahaayeen oo aan cidi u dhaxayn jirin. Tan iyo inta ay jirtay Somaliland oo labaatan Gu' iyo dhiidhii ah, dalkeenu waxa uu si buuxda gacantooda ugu jiray waa Allah mahadiiye oo hantiyay, dadkii Ilaahay ku abuuray ee lahaa. Degaan kasta iyo dudo kastaba waxa ka arimiyay oo ka tashaday nin u dhashay! Dhib badan iyo rafaad aan la koobi karin oo aan soo marnay intii awooda-maamul (dawladnimada) ee dhulkeenu dhaxal-wareegsanayd, ayaad moodaa in Degaano badan oo gayigeena ka mid ah ay cashar u noqotay, oo ay ku cimro qaateen kana faa'iidaysteen. Kuwaasi, waa kuwa tolfiiqda yeeshay ee dhan u wada jeestaye waxa ay judhadiiba markii ay Somaliland aasaasantay ku dhaqaaqeen, inay hawlahii badnaaye kaga qabyoobay is-raacii Somali-layn iyo Soomaaliya, tu gaar ah iyo mid guudba u qalab qaataan dib u yagleelkooda, meel fiican ayaana ay mudadaa kooban durba gaadheen. he(Meles) has already broached the notion of an interim- or semi-recognition, along the lines of what the Palestinian Authority enjoys, with Somaliland President Kahin Riyale, and that Riyale has become increasingly receptive to the strategy……the next steps must be for others in the international community to help convince the Somalilanders of such an approach. DUBAI // Hundreds of starving families are pouring into Somalia's overcrowded camps every day, adding to the difficulties faced by UAE humanitarian organisations. Representatives of Al Maktoum Foundation describe the scene as horrific and heartbreaking. About 600 families arrived on Monday after a dangerous two-month trek from the south, the area hardest hit by the famine, said Mohamed Ahmed Ismail Mohammed, general manager of the foundation's Hargeisa office. Local government authorities scrambled to put together a makeshift camp. "Many family members didn't survive the journey," Mr Mohammed said. "It's a horrific and heartbreaking situation because these families are suffering. They have nothing." I recently visited intriguing Somaliland to sign new EU aid programmes for the region and further boost our cooperation. Therefore with pleasure I read the article on the Guardian’s website analysing the relative success of this autonomous region of Somalia. As the author argues and some readers put in the comments to the article, Somaliland is indeed a positive story of development, with growing economy and great deal of stability. However, the argument about Somaliland not receiving foreign aid is not entirely correct. The European Union has been supporting Somaliland for years and I recently decided to give 175 million Euro of additional funding for entire Somalia; but around 70% of this money is foreseen to be spent in Somaliland and other areas of stability. Waa hees/Gabay uu si qiiro iyo farshaxan-nimo leh uu abwaan Maxamad Ibraahim Warsame ''Hadraawi'' inoogu sharaxayo, qiimaha iyo kaalinta lama huraanka ah ee ay dumarku guud ahaan, gaar ahaana gabdhaheena ku dhaqan Geeska Afrika '' waa kuweenee'' ku leeyahiin nolosheena! Akhri oo weliba dhagayso gabaygan isaga oo abwaan Hadraawi laftarkiisu codkiisa inoogu marinaya. Mo Farah became the first British athlete to win a global gold medal at 5,000 metres after delivering a devastating sprint finish to race away from his rivals at the World Championships in Daegu. The 27 year-old Londoner, who can now claim to be the greatest male endurance runner Britain has ever produced, was locked in a titanic struggle with Ethiopian Dejen Gebremeskel with 200 metres remaining before pulling clear as the pair entered the final straight. Sheekh Aadan Siiro oo looga bartay inuu si aan gabasho lahayn oo xaqa waafaqsan u iftiimiyo meel kasta oo qabyo iyo qalqalooc ku jiro, ayaa khudbadii maalintii Ciida Ramadaan waxa uu si habsan ugu soo qaatay arimo badan oo uu qaarba cid gaar ah kula hadlayay! Waxa uu la hadlay dawlada Somaliland oo uu xanteeda iyo dhaliil-ba u sheegay! Waxa uu ku eedeeyay Xukuumada in saansaanka ka muuqdaa qaabkeeda uu doc-faruurayo jiritaanka Qaran-nimada Somaliland! 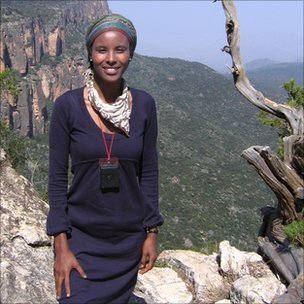 Waxa kale oo uu si waafi ah uga biyo-diiday Lacagta loo ururinayo dadka Koonfurta (Soomaaliya)! Waxa uu sheekhu yidhi: 300 oo Mitir meel madaxtooyada Somaliland u jirta dad reer Somaliland ah ayaa qaarkood ku bakhtiyayaan, kun kiiloo mitir meel u jirta oo Soomaaliya ahna waxa loo urrinayay Lacag gaadhaysa $ 600000!...Sheekh Aadan Siiro iyo qudbadii qiimaha lahayd ka bogo. “Tell them the truth,” she instructed me. Those were the only guidelines Edna gave me when she encouraged me to write a post for her blog. The task sounded simple, but for many weeks after my return from Somaliland, I could not articulate all that I had experienced. Only now am I beginning to understand the reason behind my difficulty. The truth is that The Truth is much more complicated than anything I had expected as a medical student in Toronto. On Day 1 of my arrival to Edna Hospital – still jetlagged and disoriented – I watched as both a mother and her baby died shortly after an emergency caesarean section. I spent the next five weeks learning why they and so many other women and children in Somaliland die as a result of childbirth. Global health’s beloved catch-all phrase of “limited resources” only begins to scratch surface in explaining this phenomenon. Yes, there is a deficit of obstetricians and medical supplies, but the deaths also occur because scar tissue from a previous female genital mutilation can lead to obstructed labor. Maxamad Baashe Xasan-oow Sheekh Aadan Siiro cayda ka daa!. 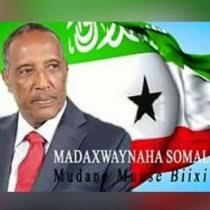 Waxay igu noqotay naxdin iyo filanwaa inan website-yada aadka uga soo horjeeda Jiritaanka Somaliland mid ka mid ah oo magaciisa la yidhaa wardeernews.com ku arko, laba nin oo aan is lahaa waa wax garadka reer Somaliland oo uu mid kastaaba qoraal ku soo bandhigay website-kaasi ka hadlaya abaaraha ka jira Soomaaliya. Xaq ayay u leeyihiin inay ka faaloodaan abaaraha e, yaa-se u diiday inay website-yada reer Somaliland ku soo qoraan? Waxase taa ka daran oo qaadan waa igu noqotay, in labada nin mid ka mid ahi waa mudane Maxamad Baashe Xaaji Xasan-e uu si aad u froolxun oo laf-jab ah ugu caayay uguna canbaareeyay sheekha wadaniga ah ee reer Somaliland, waa Sheekh Aadan Siiro-e.
Maxamad Baashe Xaaji Xasan waxa uu Sheekh kula dagaalamayaa oo ku ceebaynayaa, Qudabad sheekh Aadan Siiro uu maalintii Ciida Soon akhriyay, oo uu yidhi dadka reer Somaliland ayaa u baahan in kaalmo loo ururiyo inta Koonfur loo xusul duubayo. Ethiopia should take the lead and declare Somaliland - the former British protectorate breakaway region within the state of Somalia - an independent sovereign state, Charles Tannock MEP, European Conservatives and Reformists group foreign affairs spokesman, said today at a meeting in Addis Ababa with Ethiopian Prime Minister Meles Zenawi. Dr Tannock said that a stable and sovereign Somaliland would act as a powerful moderate neighbouring partner to Ethiopia both economically and politically. He argued that many other major African nations, the EU and the USA, would also eventually support independence, but not until a major African Union nation makes the first move. It is also important to remind the newly independent Republic of South Sudan of its stated commitment to recognise Somaliland in exchange for the longstanding help it gave Juba in its liberation struggle from Khartoum. The African Union and the famine. 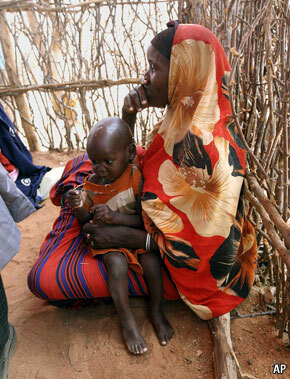 THE UN estimates that 12m people across the Horn of Africa may still be at risk of starvation. Over 30,000 old people and children may already have died. The Dadaab refugee camp in Kenya hosts 400,000 Somalis and could receive another 100,000 by the end of the year. In response the continent’s overseeing body, the African Union (AU), recently held a pledging conference. The idea was for African heads of state to come to the AU headquarters in Ethiopia’s capital, Addis Ababa, and make a bold 21st-century statement of African brotherhood.